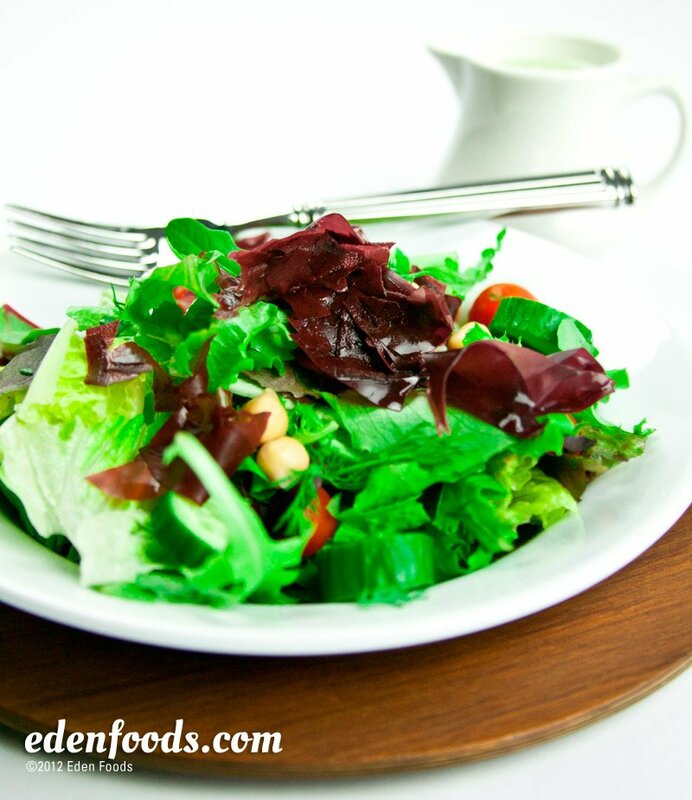 Place all salad greens, tomatoes, garbanzo beans, olives, and dulse in a salad bowl. Mix the oil, vinegar and lemon juice together and spoon over the salad. Toss to mix.